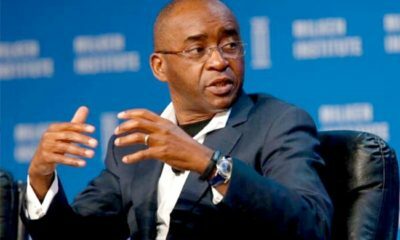 The Elevate Club, a youth empowerment initiative supported by the Econet Group, has launched the Elevate Virtual Agent Programme (EVAP) which is set to deliver thousands of jobs for young Zimbabweans and create the opportunity for its members to earn up to $600 per month. 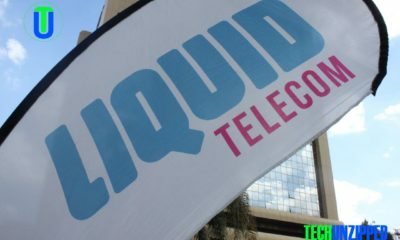 The programme was unveiled at a colorful event at a local Hotel in Harare. Speaking at the launch , Mr Fayaz King, the Chief Operating Officer of Econet Wireless Zimbabwe, called on young people to take advantage of the programme and take charge of their destinies by signing up to the Elevate youth club. “You have the opportunity, through this offer, to position yourself to learn a skill, earn some cash and really begin to pursue your dreams”, said Mr King, adding that he hoped the program would create job opportunities for over 25.000 young people within a year. He called upon corporate organizations in Zimbabwe to invest in youth, saying the time had come for business enterprises in our nation and on the African continent to play their part in investing in the next generation. “As corporate citizens, we need to be intentional about youth employment creation and empowerment through innovative job skills training initiatives and mentorship programmes aimed at nurturing and promoting entrepreneurship among the youth” said Mr King. Talking specifically about the Elevate Virtual Agent Programme (EVAP), programme manager Jonathan Neshana said the EVAP would create an opportunity for Elevate Club members to become virtual call centre agents and earn up to $600 per month working from home. “The offer is quite simple, but intriguing. Once you register as an Elevate Club member you become eligible to become an Elevate Virtual Agent and thereafter you literally are on your way to potentially becoming your Own Boss,” said Neshana. “You have a chance to earn your own income while you work from the comfort of your home, and you basically set your own working hours and dictate how much money you make every month. “The more you graft, the more you hustle, the more you earn,” said Neshana, adding that it was down to making money on one’s own terms. “The model rewards you according to the effort you put in”. Neshana said a Virtual Agent would provide call centre support telephonically and offer customer service, or tech support, wherever one wanted to work from, away from the office. He said applications for Virtual Agents were open to all Elevate Club registered members. “But you need to first apply online on www.elevateyouth.co.zw and complete the online application form. Feedback is given directly to applicants on the status of their application before moving to the next stage” said Neshana. He went further to explain the various triggers in the process to become a Virtual Agent. 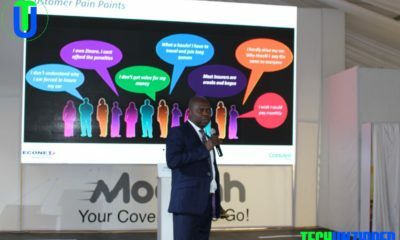 “For the Elevate team to start reviewing the applications, Elevate customers should accrue 5000 points – the equivalent of airtime recharges worth $50. 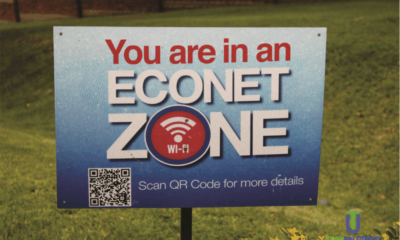 And the airtime could be purchased using any recharge method: a physical recharge, EcoCash or any electronic airtime recharging method,” Neshana explained. “For every $1 recharge, you get 100 points, and anything that gives you a positive balance in your airtime account is counted as a recharge and earns you points, except Airtime Credit. “A selection process of the applicants then kicks in. Those who are accepted into the program are required to redeem their points – all 5000 of them – in order for them to get access to the Elevate Virtual Agent online training program. A series of tests are given and once you pass, your job is guaranteed” he said. The Elevate Club was launched in June of this year as youth empowerment program designed to equip and train young people with different job and entrepreneurial skills and to create opportunities for ongoing mentorship support for young people in various fields of endeavour. In the three months since launch, over 400.000 eligible young people between the ages of 16 and 34 years have signed up to the youth empowerment club. To register as an Elevate Club member, one simply dials *177# on their mobile phone. As membership to the Elevate Club continues to grow, Mr King reiterated today that this was more than just a youth club. 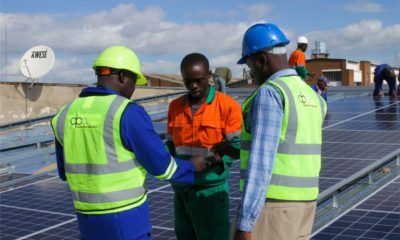 “If, as the private sector, we don’t take collective ownership for creating mentorship and business empowerment opportunities for our young people, and harnessing their energy, passion and innovation, nobody else will”, said the Zimbabwean business executive, with years of senior management experience in various markets across the African continent.